Our Pin-Striped Suit postcard design template portrays your company’s trustworthy, professional image to potential clients. Available in five different color schemes and two edge finishes, Pin-Striped Suit is an ideal choice for business professionals including attorneys, architects, administrators, and more. The front’s classic design features your photograph, logo, name, and company slogan on a color background surrounded by a border of a darker shade. The back features a background with shades of your color palette with ample space for your logo, contact information, headline, message, and call to action. Our online postcard maker lets you customize your postcard design with your own images, logo, and text. Choose your favorite template from our online design library of professionally-designed templates, then pick your color scheme and edge finish. Next, follow the on-screen prompts to add your images and personalized text elements. It’s so easy! When you’re done designing, you can even download a shareable PDF and get valuable feedback from friends and colleagues before you print. Thousands of the country’s top businesses come to PsPrint daily for their print marketing material needs. PsPrint offers unparalleled quality when it comes to postcard printing. From premium postcard paper stock and vibrant soy-based inks to high-quality printing and reliability, you can expect only the best from PsPrint—guaranteed! Looking for an extra luxurious postcard? Consider printing ultra postcards with extra-thick paper stock and a unique inside core that provides an eye-catching stripe of edge color. Or add a foil stamp to your postcard design. Need a complete company identity kit? 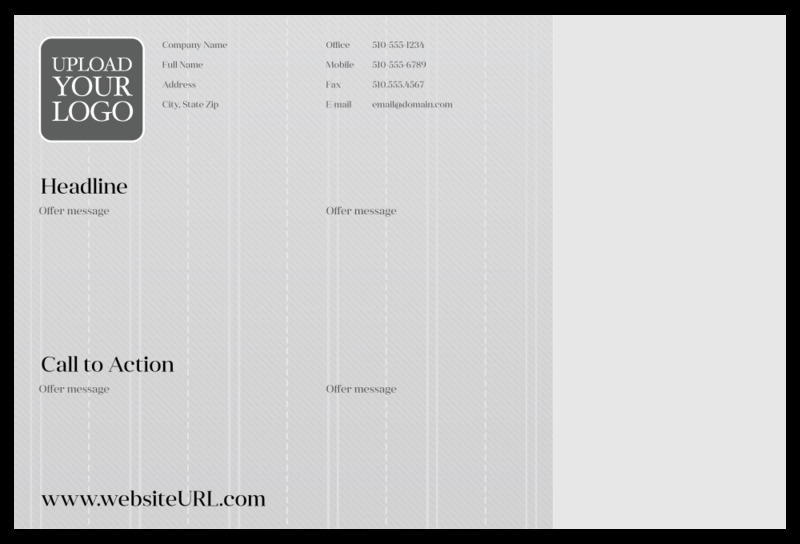 We offer letterhead, pocket folders, business cards, and more!